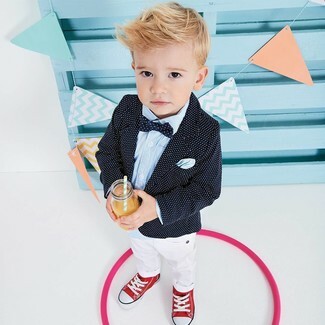 Teach your munchkin how to look put-together and stylish by suggesting that he go for a black polka dot blazer and white trousers. Finish this style with red sneakers. 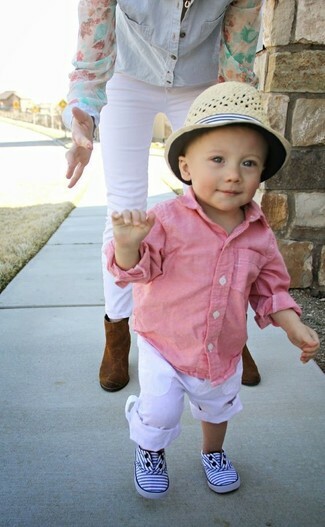 Consider dressing your kid in a pink long sleeve shirt with Ralph Lauren white trousers and his cute factor will be off the roof.  Finish off this ensemble with white sneakers. 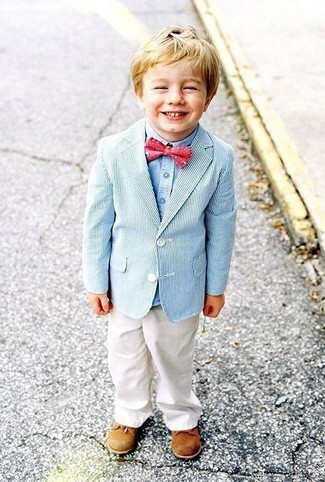 This combo of a light blue blazer and Ralph Lauren Skinny Twill Pants will look adorable on your child. As far as footwear is concerned, let your little man grab a pair of tan oxford shoes.